The chronicle of Houers Koöperatief Beperk is indeed a fascinating and remarkable one- a tale brought about by initiative, resourcefulness and a passion for problem-solving. As far as 1982, that's 27 years ago to bring it into a clearer perspective, ten commercial farmers from the Letsitele Valley, an area renowned for its quality and sought-after citrus products, brought to fruition the concept behind this lucrative success story. 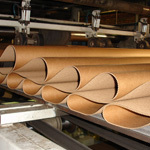 The corrugated packing used by the regional farmers has traditionally been a preset and inflexible component with other challenges such as service delivery, quality and on-time delivery contributing to numerous headaches and frustration. 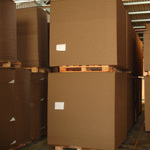 Although taken for granted by the end user, packing performs an essential purpose as part of the overall value-chain and product offering to customers. In order to take charge of the inability to control this fundamental component, the founder members decides to assemble their own factory whereby raw material was to be purchased from which suitable, quality corrugated packaging was to be manufactured. 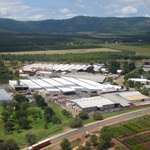 Ideas and plans were put into practice and through an enormous team effort the factory was erected. As a result of a shared vision and end goal lingering on the horizon, expenses were keptto a minimum. 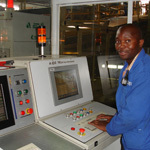 The single biggest outlay was the purchasing and importing of the relevant equipment in order to process the raw material into corrugated sheeting. Through proper and dedicated management, Houers Koöperatief Beperk today plays a pivotal role in the success of fruit delivery and exports from the Letsitele Valley. 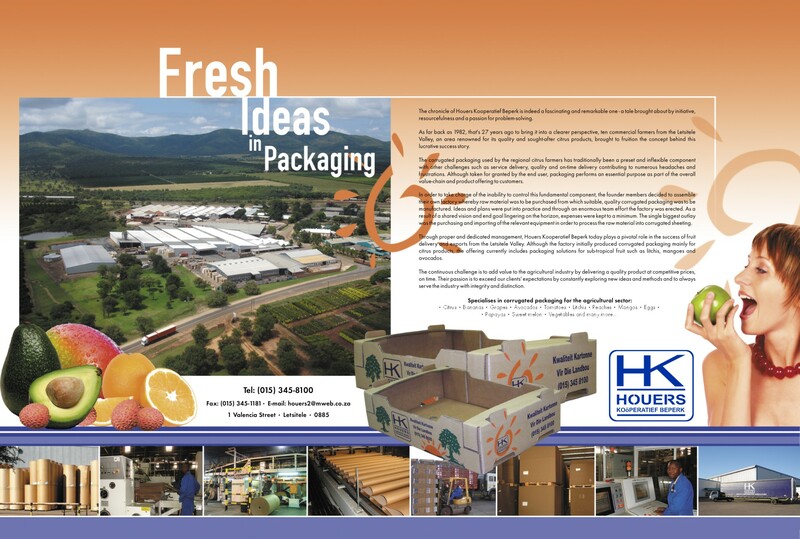 Although the factory initially produced corrugated packaging mainly for citrus products, the offering currently includes packaging solutions for sub-tropical fruit such as litchis, mangoes and avocados. The continuous challenge is to add value to the agricultural industry by delivering a quality product at competitive prices,on time. Their passion is to exceed our client's expectations by constantly exploring new ideas and methods and to always serve the industry with integrity and distinction.